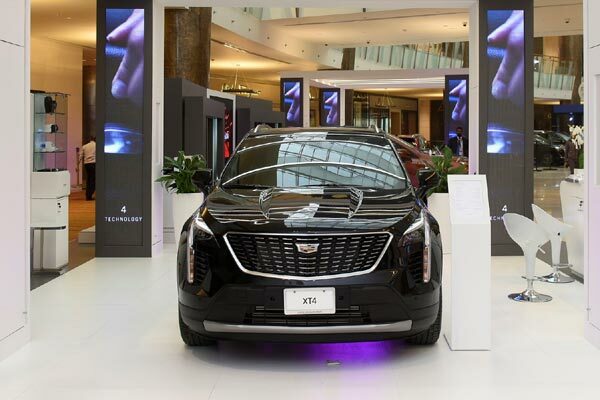 Cadillac Middle East along with its national partner in Kuwait - Alghanim, , is showcasing the new XT4, alongside other latest models, which include the Escalade, XT5 and CTS-V at the 2019 Kuwait Motor Show, which runs until January 26. First unveiled at Cadillac House in Manhattan in March 2018, the American automotive brand’s first-ever compact SUV XT4, was displayed to motoring enthusiasts who attended the internationally renowned event which opened on January 17, said a company statement. The XT4 is driven by an all-new Cadillac 2.0L Turbo engine, producing an SAE-certified output of 237 hp (177 kW). Coupled with a nine-speed automatic transmission with next-generation electronic precision shift, the new engine features new efficiency-enhancing technologies including active fuel management (cylinder deactivation). “Designed to appeal to the region’s millennial audience, the new model features new class-leading technologies, premium levels of refinement as well as the all-new 2.0-Liter Turbo engine,” he said.